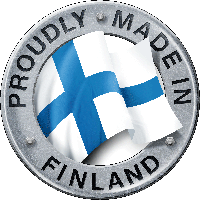 Finnish boats are in demand in distant markets, too. Bella, Flipper and Falcon have a new dealer in Sydney, Australia. Right now, the Sydney International Boat Show (SIBS) is being held on the other side of the globe. One of the exhibitors is the local Chapman Marine Group, which has previously acted as a dealer for Sea Ray and Beneteau boats, for example, as well as Bella Boats. This year, Chapman is expanding its range by introducing “three new European boat brands” ­Bella, Falcon and Flipper at the show together with the Australian importer, Euronautica.